Any season is the right time of year to visit New Orleans. With a stay at The Courtyards, you'll be ideally situated to make the most of the history, culture and events that shape the local lifestyle. 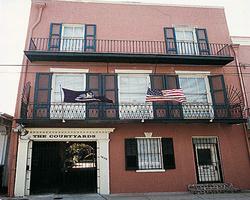 New Orleans timeshares for sale let you explore this fascinating spot at your leisure. New Orleans benefits from a long and complex history. Today, it shows the influence of its French, Spanish, English and American roots in a pleasing variety of attractions. Visitors traverse Bourbon Street to hear live jazz and cruise Lake Pontchartrain for fishing and other pursuits. History lovers won't want to miss Jackson Square, the National WWII Museum, The Cabildo Museum and The Historic New Orleans Collection of restored buildings. Of course, the city also is recognized on a worldwide basis for its annual events like Mardi Gras and the Jazz and Heritage Festival. Regardless of when you visit, you'll never be bored. The Courtyards sits in the midst of it all. Housed in an elegant, 165 year-old townhouse, this bed and breakfast style property is the ideal hideaway in the midst of the city's bustle. It is just one block off of the famed French Quarter, making it a favorite with people who love nightlife and for those who prefer quiet evenings alike. The property consists of a total of three buildings, each of which is connected to the others via a series of lush, quaint courtyards. Many of the city's most famous attractions are an easy walk away. Guests have access to laundry facilities for their convenience. 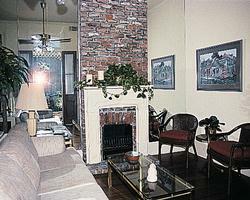 These New Orleans timeshares for sale consist of six individually decorated rooms. Each one has a distinct personality and is more sumptuous than the last. Most rooms have a single king-sized bed, but two units have fold-out sofas for extra guests. Soaring, 12-foot ceilings and original hardwood floors make these rooms spectacular. Decorated with exceedingly good taste and a liberal number of antiques, guests will love their stay. The Courtyards is an elegant retreat for couples. Experience the best of the city with these New Orleans timeshares for sale. Contact Courtyards, The Specialist Today!